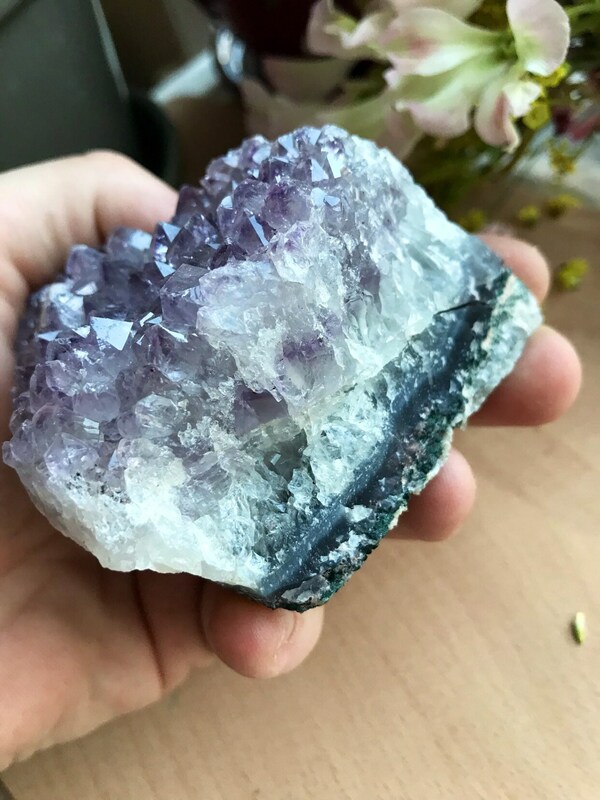 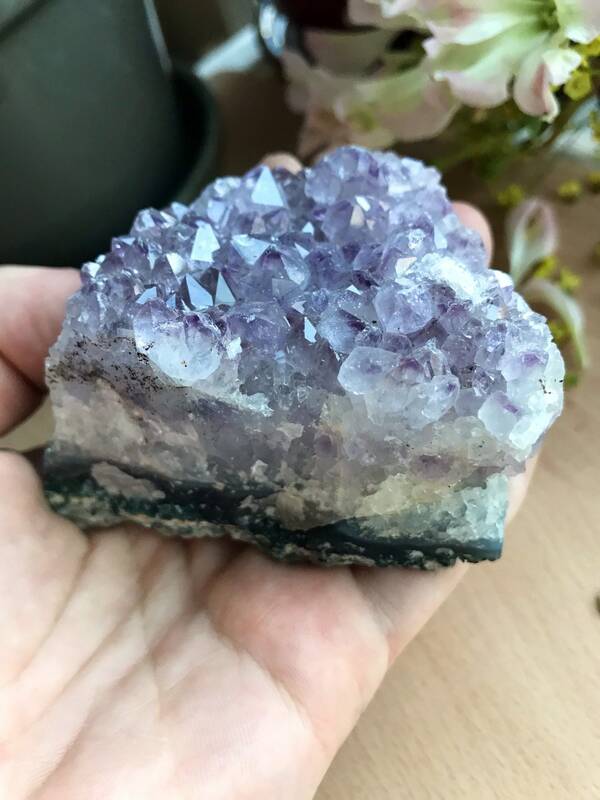 Beautiful Amethyst cluster from Brazil exactly as shown. 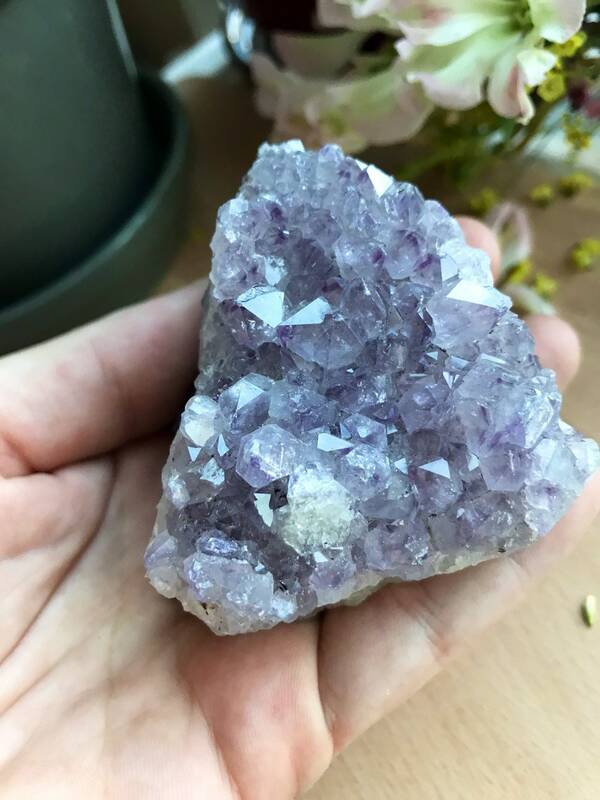 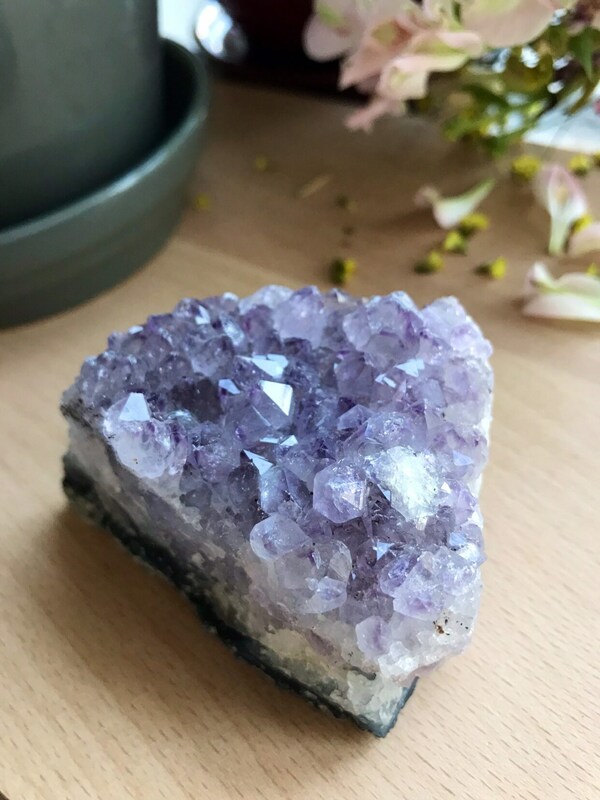 Amethyst will assist in overcoming any addiction! 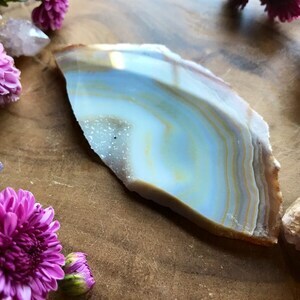 It calms and soothes your emotions as well as preparing your soul for intense transformational journeys. 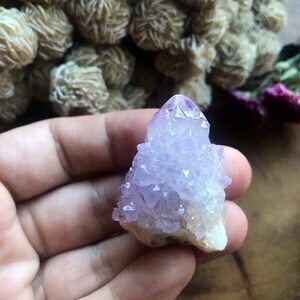 It creates a protective energy field around its wearer, assists in transmuting negative energies within the wearer and gives protection from external negative energies. 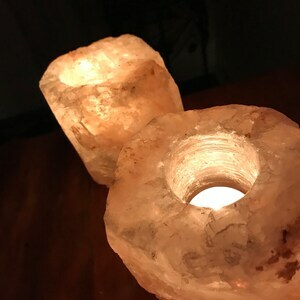 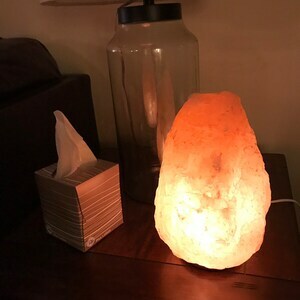 It’s excellent for meditation and assists in the growth to your higher potential. 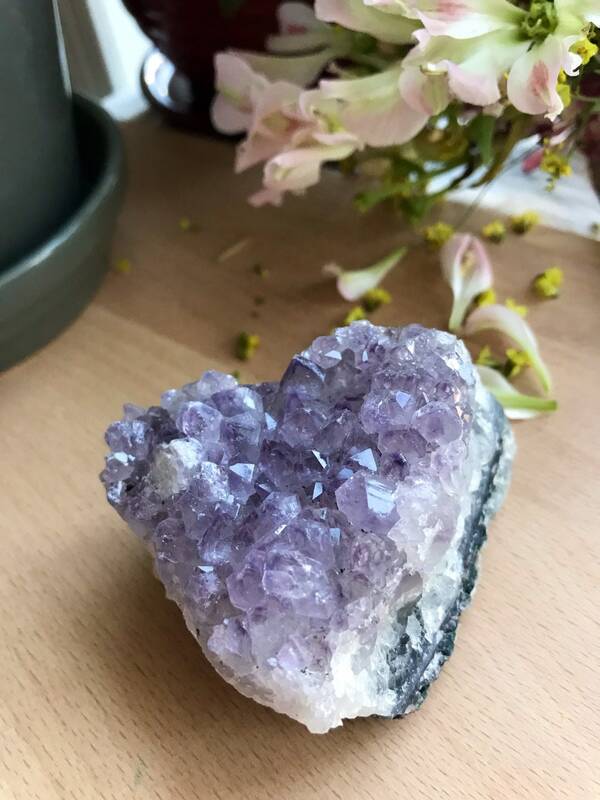 Amethyst gives spiritual cleansing and expansion, relieves insomnia, and brings peace and calm.